Kicking things off Chris Evans pointed out that he loves to make independent artistic movies. The action hero who most of America would recognize him from roles in movies like "Fantastic Four" or "Captain America" said he only makes those types of movies so he can do other roles he is more passionate about. "This is why I do movies like Captain America," he said. Evans was candid enough with the crowd relaying that he loves playing Captain America and called it, "a fulfilling role" but it is a different beast than making a film like "Puncture." "Sometimes in bigger films, artistic qualities fall through the cracks," Evans said. The First Avenger quickly implied that he was not talking about 'Captain America' when referring to artistic qualities falling through the cracks. Getting back to "Puncture," Chris Evans was sure to note that no one was here for a paycheck but rather the passion of the story, character and film. "This is what you love," Chris said to solidify his genuine interest for the experience and performance. Chris Evans comes from a classical performing arts background and told the crowd how much it means to him when a production allows for rehearsal time. "It helps us to become the character instead of just memorizing words to repeat," he said. Evans went on to explain that by having rehearsal time, actors are able to work out what feels right so that there are no questions when they step in front of the cameras. He added, "you start filming and you are ready to go." The two time Marvel superhero was asked how he thought his new fans would react to a much darker role. The actor was first to admit that his past has been pretty spotty when it comes to his roles so, he wasn't too worried that 'Puncture' would push audiences away. "Not a lot of movies have always worked out." Chris went on to declare how happy he is with this movie and wanted to make sure to get the word out. "Some of the best films do not get the airtime they deserve," the thirty year-old actor stated. He continued, "When you've got something you are proud of, you have to go out and pound the pavement," Speaking frankly, Evans told the crowd how nice it is to have a film he genuinely wants to promote versus a film he knows is garbage and has to find a way to not sound disappointed while doing press junkets. "You've got to sell it even if you don't like it," he pointed out. Lastly, Chris Evans and co-director Adam Kassen stressed that they wanted to make a message movie that focused on a performance. While personally I wished the focus was more so on the message than the person, "Puncture" packs a wallop of an emotional performance from Evans. The actor said that he went out of his way to make sure he represented all sides of Mike as well as the story. The message is something that audiences will hopefully be inspired and outraged by. The statistics of accidental diseases presented throughout the film made me sick to my stomach. The idea that health care supplies companies have such powerful monopolies over what products are used in hospitals is absolutely infuriating and hopefully this film can spark some change. Co-director Adam Kassen was clear that the film was "based on a true story" but some names and events had to be changed. Some of the characters are completely fabricated only represent the struggles Mike faced in this uphill legal battle. "Puncture" releases in limited theaters Friday, June 23rd with expansion into further U.S. cities to follow throughout October. 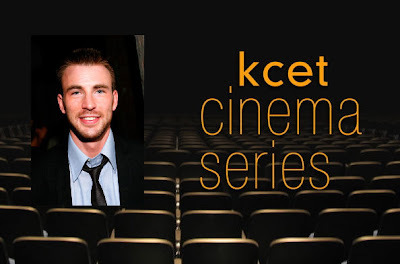 Stay tuned for more from the KCET Cinema Series and look for my review to "Puncture" soon.